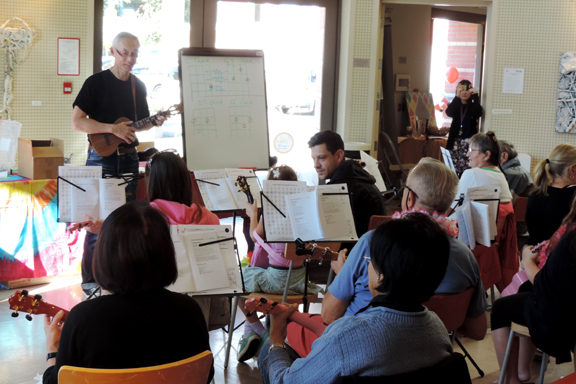 For the third year in a row, Cutie Circle volunteers (aka Cuties) will once again be offering aspiring ukulele players a free ukulele workshop series on Saturday afternoons. Intended for absolute beginners with little to no background in music, this workshop will give participants some basic knowledge to begin a journey into music using the happiest instrument on earth from April 8 to June 10. It was a fantastic experience for attendees and volunteers alike and we can hardly wait to meet everyone and spread the joy of ukulele this spring. Many of our students have gone on to share music by volunteering their time to perform at municipal and regional events and/or to teach ukulele to other seniors and children in the community. Cutie Circle and Terry Fox Library collaborated in the Fall of 2016 to create the Uke ‘n Play ukulele public lending collection. The Cutie Circle, Empire Music, King’s Music, Ohana Music and our good friend, Linda Thiessen, collectively donated 50 ukulele kits (including ukuleles, gig bags and tuners) and the FVRL rounded out the collection with ukulele instruction books and plastic containers for each kit. Library patrons of the 25 FVRL branches (from Port Coquitlam to Boston Bar) can now borrow ukuleles for free. In fact, InterLink Library network cardholders in the surrounding region (e.g., Metro Vancouver and the Fraser Valley) can borrow ukuleles in person at FVRL locations as well. The Workshop Series will start on April 8. There will be no workshop on April 15 due to the Easter long weekend. There will be no workshop on May 13 due to the May Day Parade. 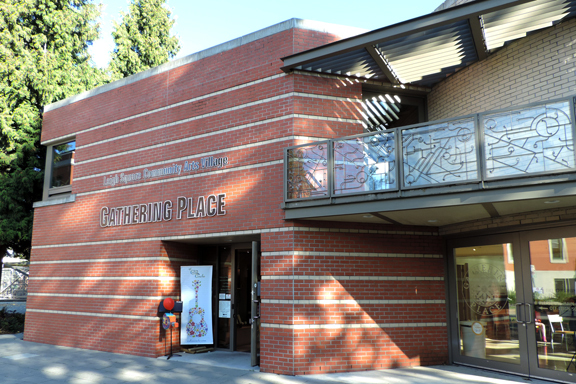 There will be no workshop on May 20 due to the Victoria Day long weekend. Online registration began on March 15, 2017 and is now closed. Thank you for your support. All seats have been filled. Registration confirmation has been sent to email addresses supplied via the form below. We look forward to meeting you at the workshop. If you would like to be put on the waiting list, please complete the form below. To assist us in our lesson planning, please let us know briefly your music background. Volunteers who are registering to help with the workshop, please indicate availability in the “Music Background / Comments” box. 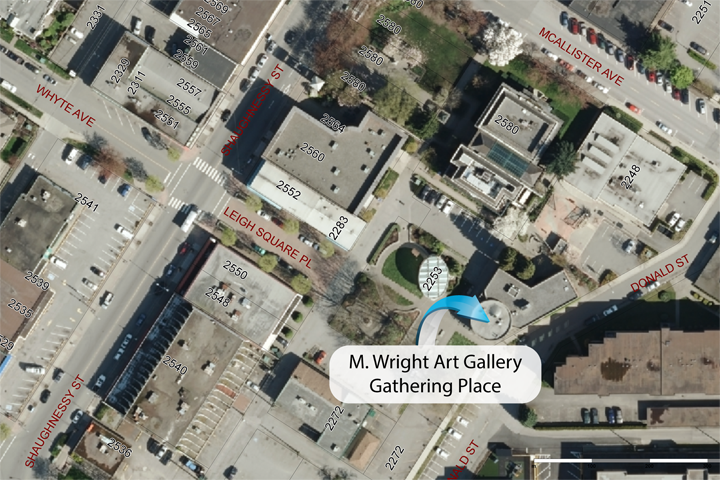 This entry was posted in Events, Posts and tagged absolute beginners, ウクレレ, 烏克麗麗, 高貴林, Free Ukulele Tutorials, 우쿨렐레, Leigh Square, Michael Wright Art Gallery, Port Coquitlam, ukelele, Ukulele, Workshop, 尤克里里, 乌克丽丽 on March 15, 2017 by cutiecircle.